HOUSTON – Andrew Braun, a student at The University of Texas Health Science Center at Houston (UTHealth) School of Public Health in San Antonio, has been selected for the 2018-19 cohort of Research and Mentorship Program (RAMP) scholars through the HIV Vaccine Trials Network (HVTN). Braun is studying for the dual M.D./M.P.H. degree on the school’s San Antonio campus. optimize the AIM assay for bulk or single cell isolation of antigen-activated CD4+ T helper cells in cryopreserved specimens following vaccination with distinct HIV-1 vaccine candidates for down-stream analysis. This means Braun will be using technology such as flow cytometry (a technology used to examine characteristics of cells in a stream of fluid as it passes through a laser) and the new AIM assay during his project. He will be examining a type of T-cell (the cells that help fight infection in the human body) to study the constitution of and functionally characterize T-cells that have been exposed to HIV vaccine antigens. Previously, studies have used ICS (which stands for Intracellular Cytokine Staining) techniques to analyze these cells. He says that such techniques are limited in the types of analysis that can be performed as the cells are dead at the end of the ICS process. With the AIM assay, cells are still alive at the end of the process. This allows for more information to be gathered through techniques like genetic testing such as T cell receptor (TCR) sequencing or gene expression profiling (RNASeq). Braun will be working under the supervision of Antje Heit, P.D., Ph.D., and Stephen De Rosa, M.D. Beginning as a pre-medical student studying microbiology, Braun says he was, “intrigued by the ubiquity of the microbial world, and the clinical significance of microbes.” He added on a major in international studies to expand his focus to include medicine in a global context. During a summer program at Harvard called Fostering Advancement through Enrichment Training in Science, he volunteered with “Take the Test Boston” to spread awareness about HIV/AIDS in Roxbury, Mass., and worked on a related research project. He became interested in M.D./M.P.H. programs after that, and began the program with UT Health San Antonio Long School of Medicine and UTHealth School of Public Health in San Antonio. Many students choose to complete the dual M.D./M.P.H. degree to give them a broader view of health care to better serve them as physicians. This can be helpful when working with a variety of people from diverse populations with known health issues, and can help when reading research studies and interpreting data. UTHealth School of Public Health offers the M.D./M.P.H. dual degree in conjunction with five medical schools across Texas. There are also dual degrees such as the D.D.S./M.P.H. ; J.D./M.P.H. ; M.S.N./M.P.H. and seven others. 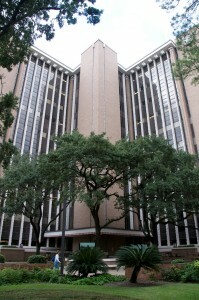 Recently, the UTHealth M.P.H. degree was ranked first by the Healthcare Management Degree guide. Read more here.